Tuesday, August 16 and Wednesday, August 18: Every August, renowned El Celler de Can Roca in Girona, Spain closes for a month to travel the world, and this time the tour stopped in Phoenix. The restaurant boasts three Michelin stars and other accolades such as 'Best Restaurant in the World', and I was thrilled to be included in the invitation-only special events. While I was unable to make the Master Class, I did attend an exclusive wine tasting with Sommelier Josep, and a spectacular nine-course dinner held at the Four Seasons. Click on each photo below for details of these special evenings. Wednesday, August 17th. I attended a media dinner for Salty Sow and it was a nice reminder that I need to get back to this casual, comfortable spot (their honey-rosemary glazed fried chicken is a past favorite). We were introduced to some of their most popular dishes such as truffled deviled eggs, crispy chicken thighs with gravy and smashed potatoes, and a comfort dish of braised beef with root vegetables and a fried egg. Check back next week for full details of our feast! Saturday, August 20th. 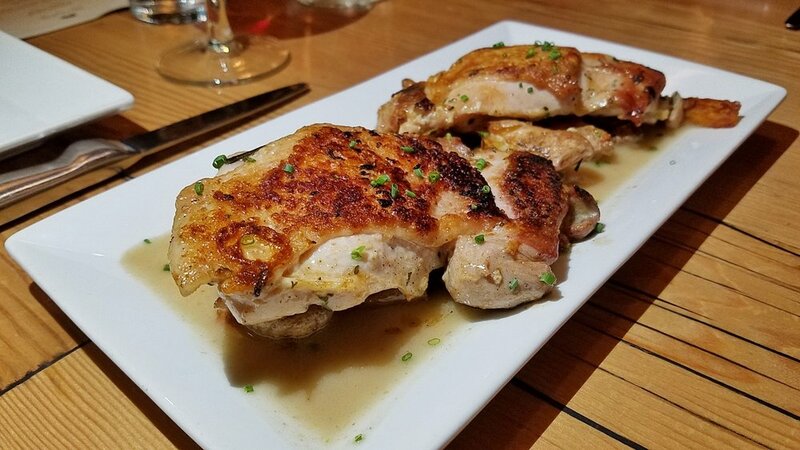 On their Arizona visits, we introduced my parents to a favorite casual Italian spot in our neighborhood - Cucina Tagliani - and it quickly became a favorite of theirs too. Now that they've moved here, Dad was in the mood for lasagna, so he invited us out for dinner and knew just where he wanted to go. Mom had her first-ever stromboli, and I went with one of my favorites, the spaghetti squash lasagna, subbing out marinara for Cucina Tagliani's spicy pepperoncini sauce. Sunday, August 20th. After a busy morning getting my parents' AZ house ready for them to move in after new paint and tile, we stopped for breakfast at Biscuits Cafe. The verdict? According to dad: "This place is great!". And mom? "Let's meet here once a month." 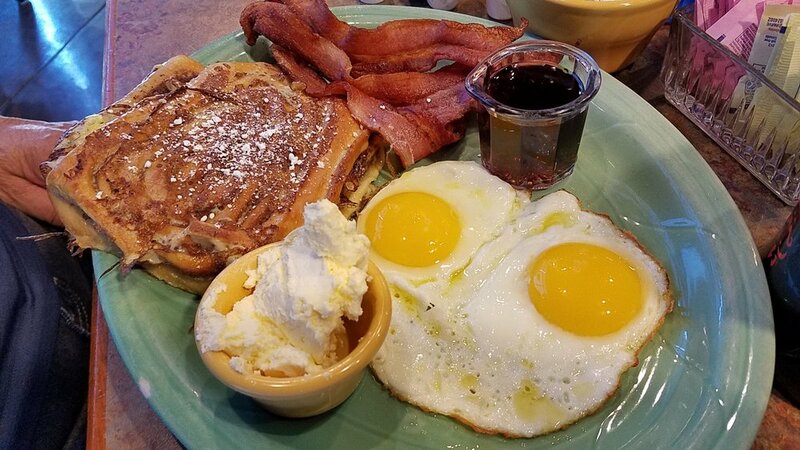 Dad had pancakes and mom a chicken sandwich, while Ernesto ordered cinnamon roll French toast and I loved my Country Benedict with biscuits, sausage, and gravy. Monday, August 22nd. It's approaching fall in Arizona and that means Arizona Restaurant Week is just around the corner. This year it takes place September 16-25 and I joined fellow media professionals for a preview "dine-around." We started at ZuZu at Hotel Valley Ho, stopped for main courses at T. Cook's at the Royal Palms, and finished with dessert at Coup des Tartes. I'll be posting a recap next week with more photos, but for now you can check out their delicious menu options here. Check back next week as I visit Market Street Kitchen, Chengdu, FnB for a Chef's Roundtable, Craft 64, Pig & Pickle, brunch at Artizen at The Camby, and Bar Brawl at jade bar at the Sanctuary Resort. Visit this link to browse past Rubee Tuesdays.